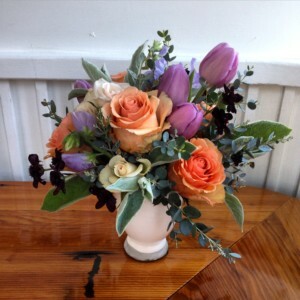 Mother’s Day is almost here and we’re taking orders for delivery! This year we have a beautiful palette of peaches, creams, lavenders and soft greens with pops of chocolate. Peonies, Peach Roses, Lavender Anemones, Chocolate Cosmos and Lambs Ear are just a taste of the selection of product we have for you. Let us create dazzle your mom with our beautiful florals. Our minimum for delivery on Mother’s Day weekend is $65. To place and order please give us a call at 206.619.7917, email us at or visit our online shop to place an order.